San Juan, PR – Adriana Ramírez, Esq., Abarca’s General Counsel, was named to Caribbean Business’, “40 under 40” special edition. The edition recognizes 40 executives under 40 years of age who have been identified as the most promising, up and coming business leaders of Puerto Rico. This year being the 40th anniversary of the newspaper, it chose 40 men and 40 women under 40 from a broad spectrum of industries in which among those are the government sector, leaders of major banks and insurance companies in Puerto Rico, and executives from a number of leading companies including healthcare and technology. Abarca is very proud that Adriana was chosen to belong to this exclusive group and the company congratulates her on this important recognition. 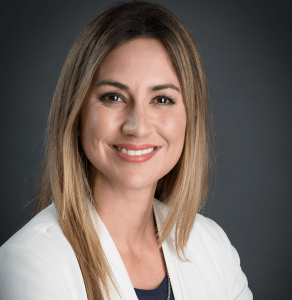 “We are extremely happy to have Adriana on our team and we appreciate the hard work she does to make a difference for our company and our clients every day,” commented Jason Borschow, President & CEO of Abarca.